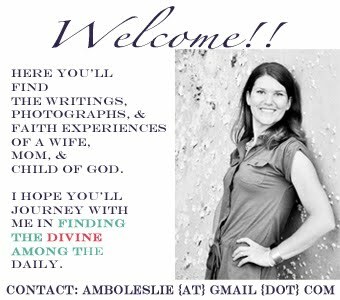 I am continuing with guest posts from bloggers who have not only a passion for photography, but a love for Jesus. I am honored to have Elizabeth from Just Following Jesus (In My Real Life). After reading her post be sure to click over and visit her lovely blog. What a privilege it is to guest post on Amber's lovely blog. I am always happily excited when I get to share the difference that following Jesus makes in the real life of an ordinary person like me. The Hubs and I are counting the days. Several years ago a vacation glitch resulted in us going to the Palm Springs area in the heat of summer instead of our usual favorite coastal vacation spot. Who knew that this beach loving couple would fall in love with the desert, the heat, the palm trees, the cactus? I think it’s because we are sun deprived so much of the year living in the Willamette Valley of Oregon. It rains…it rains a lot…and even when it’s not rainy it can be gray and cloudy for.days.on.end. (That’s why everything here is green and lush and gorgeous. The air here is fresh and clean and smells like no place I’ve ever been.) Back to vacationing in Palm Springs, after that first year of going there due to a vacation glitch, we have gone back every summer since. To the desert. In the summer. It’s hot. And we love it. We soak up as much of the sun’s vitamin D as we can, we allow the heat to oil our rusty joints and dry out our moldy muscles. We lay by the pool in the sun and read. We are lazy. R-E-L-A-X is the theme of our time away. We cannot wait. We are counting the days, the hours, the minutes until we go. We may be here right now, still doing what needs done, still working hard, but I can tell you that our thoughts and our hearts are someplace else. They have gone before us to our beloved desert oasis. The other day as I thought about this, for the first time I understood, really understood, what it means in Colossians 3:2, “Set your minds on things above, not on things on the earth.” Before I just couldn’t wrap my mind around the how of this verse. How do I set my mind on God and on His Kingdom when so much of my attention is needed in the here and now? I finally understood when I realized I am fully functioning in the here and now of my life, but my mind and heart are also fully looking forward to, planning on, and preparing for our vacation in Palm Springs. Likewise, I have to be fully functioning in my life here on Planet Earth, but simultaneously I am fully looking forward to, planning on, and preparing for Eternity. Just like the best part of planning vacation is looking forward to spending it with my Hubs, the best part of setting my mind on Eternity is looking forward to the One I’ll spend it with. I cannot wait. I may be here right now, still doing what needs done, still working hard, but I can tell you that my thoughts and my heart are set on Someone Else, set on Someplace Else. Another beautiful post - if we keep focused on him, he'll make sure the rest is taken care of. My life is so much easier to live this way. Lovely post. Just like Elizabeth! Great post! He really does promise us abundant blessings if we stay focused on Him. I am a Melissa and Doug, Amazon, Clickin' Moms, and Canvas People affiliate. I do benefit if you buy from those links, but it is at no cost to you.